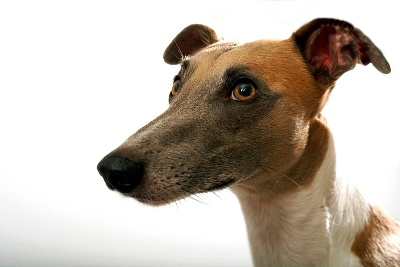 Become a foster parent for a TAGS Greyhound. Why do I love Fostering? Maybe it is because I am selfish. Fostering is one of the most rewarding, fun, and loving experiences of my life. Our life with greyhounds began with being a foster, our plan. We were overcome by the charm, calm and WOW factor, but not sure, like most first timers, what it would be like having a greyhound in our house. We were quick to learn how easy and fun it is. We adopted her. We then took another foster greyhound. Being the first human to relate to greyhounds off the track, showing them that life can be fun, humans can be trusted, and watch them respond touches my heart. These are the most remarkable and forgiving of dogs. Each day is a mutual gift for all of us. I think I am a hoarder - I want them all. Since that is not possible, fostering gives me a chance to have another and another. Yes, it is bitter sweet when they leave for their forever homes. However, each one went to a wonderful home full of new life and the next step in evolving to their full potential. Another bonus for us was meeting exciting adoptive families who have become our friends, fallen in love with their dogs and have changed their lives for the better. Finally, these dogs have won the race. They raced for love and a forever home – and each greyhound will find one with the help of the foster family. And when I needed it most, you gave me a hug. There came along not one new lesson but two. First you said, "Sweetheart you're ready to go. At first I thought that you sent me away. No matter how far you will always be near. I may not be yours but you'll always be mine. Here in this house... I will never know the loneliness I hear in the barks of the other dogs 'out there'. Here in this house... There will be an effort to communicate with me on my level. Here in this house... I will never be a substitute for anything I am not.